We love working with colleges and universities across the country to help plan their first-year reading programs. 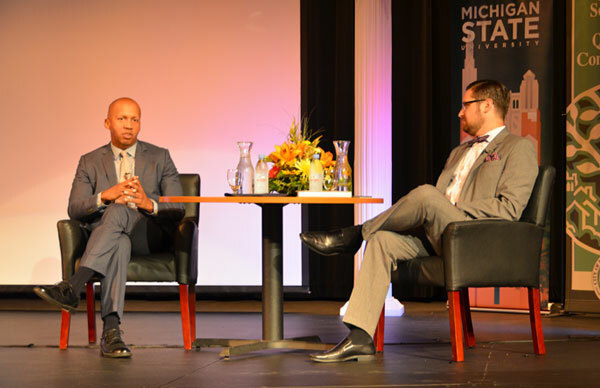 One of our most popular speakers for these programs is Bryan Stevenson. 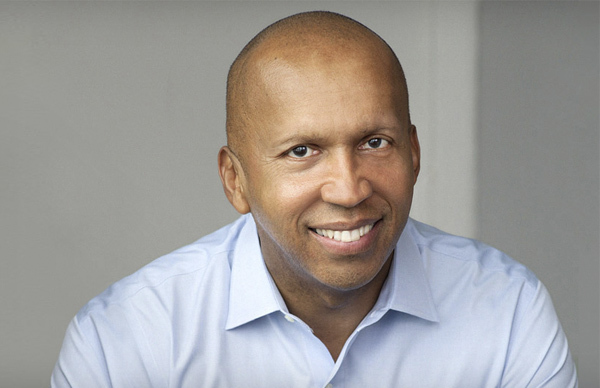 The author of Just Mercy, Stevenson is a remarkable social justice activist and lawyer who works tirelessly to challenge the criminal justice system’s discrimination of the poor and marginalized. PRHSB: Can you tell us a little bit about your first-year reading program and its goals? RC: Our common reading program is in its 17th year and provides students with a common experience and orientation to academic expectations at NAU. The goals of the program are to foster a conversation about issues that are important to our campus including global engagement, diversity and inclusion, sustainability, and identity development. PRHSB: What led you to select Just Mercy as your title for the program this year? How do you feel this title fit the goals of your first-year reading program? 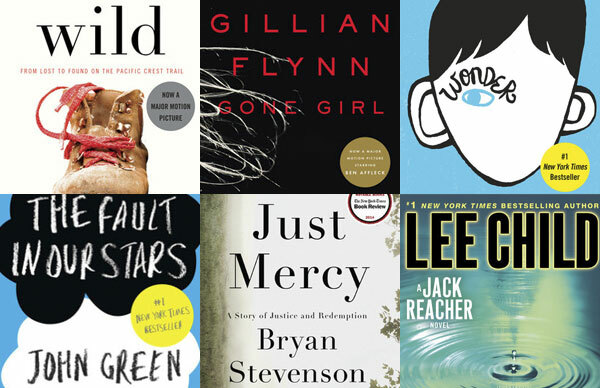 RC: Just Mercy was selected because it met all of the criteria that we look for in a common read. 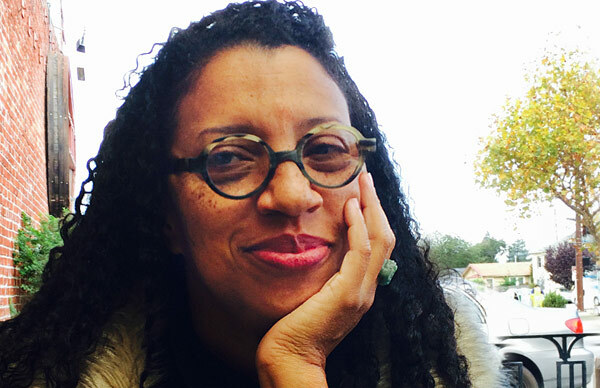 The book focuses on social justice in a way that provides students a different perspective on diversity and inclusion, particularly related to the disproportionate number of minorities in the prison system. 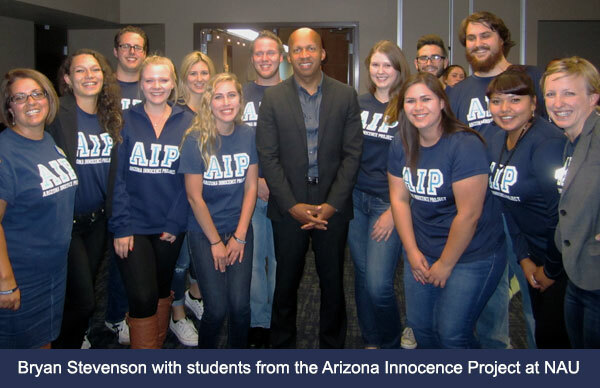 Stevenson’s story of how his own professional development, career path, and identity were shaped by his experiences as a lawyer representing the wrongfully convicted, is powerful for students at this point in their own educational journey. The book is also useful in many disciplines across campus, and individual chapters could be used as stand alone pieces. PRHSB: Tell us a little bit more about Bryan’s visit to your campus. What kind of response have you been hearing from students and/or faculty about his visit? RC: To date, Stevenson is the only speaker we’ve hosted on campus where there was not one empty seat in our 1,500 seat auditorium. He provided an inspirational and informative call to action, as well as a healing force on our campus which had just been rocked by a violent incident. Students responded both immediately and in reflection papers. His talk challenged them to examine their lives, purpose, and impact on their communities. They also came away with a greater sense of patience, peace, and self-confidence about their own struggles and obstacles (We all did!). Their understanding of their impact on each other and their communities was reinforced. You can learn more about how we can help you to plan a first-year reading program on your campus with Stevenson, or any of our other great first-year reading program authors, in this blog post. Please contact us to get the conversation started!